King of the colline in animé. 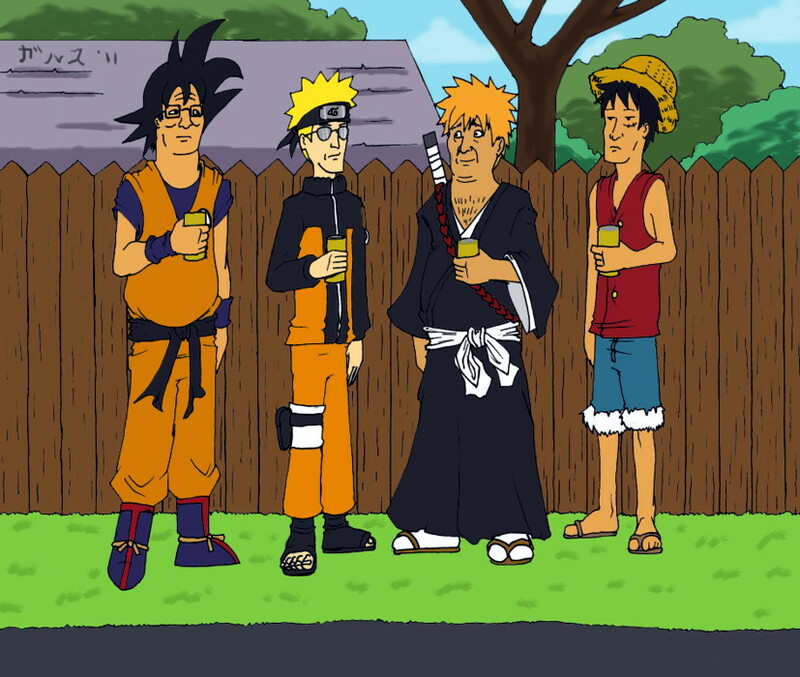 Various parodies of different animé series.... HD Wallpaper and background images in the King of the colline club tagged: photo king of the hill anime naruto one piece bleach dragon ball. This King of the colline fan art contains anime, bande dessinée, manga, and dessin animé. The King of the Hill is very popular and a great adult cartoon.